Amelia preened a bit at these words and imagined all the men at the forthcoming ball taking one look at her and instantly falling in love. Yes, everything would soon turn out as she had always planned: she would marry a wealthy, powerful man and have all of Scotland at her feet. England too – she could not wait for her first visit to London. Lady Treeton held some of the best events of the season. It was the start of February and Edinburgh had only had a couple of less selective dances and the odd dinner party. All the best of society should be at the ball tonight and Amelia was keen to meet some new people. She heard footsteps coming up the stairs then Lottie knocked twice and burst into the bedroom with her grand announcement. Their parents were waiting so there was no time for further conversation. Lottie had already dressed for the ball so Walker fixed her hurriedly prepared curls while she and Amelia both put on their gloves, then they were ready to go downstairs and leave in the carriages with their families, Lottie talking about the proposal the entire way. As soon as they arrived at the ball Mr and Mrs Harrington, Lottie’s parents, joined at once by Mr Saverney and his mother, told everyone about the engagement. After this everyone was so busy congratulating them that Amelia was entirely ignored. It was a new experience for her and not one she liked in the least. She observed the group as her mother conversed with two other ladies. Lottie’s fiancé was attractive and had charming manners. He also had an easy-going manner which suited Lottie. Amelia herself required a man with political ambition and more of a presence than Saverney possessed but there was no denying that it was the best match imaginable for her. Lottie’s family were highly respectable but had little money whereas Saverney, also from a good family of course, was extremely wealthy. In conclusion, Lottie could scarcely have chosen better, even without factoring love into the matter. His mother was perhaps his greatest drawback. She was a formidable woman, used to getting her own way, who had an opinion on every subject and was not always tactful in expressing it. Amelia’s only real concern for Lottie’s future was that if she was unable to stand up to Mrs Saverney she could end up constantly being told what to do, as was currently the case with Lottie’s controlling parents. If Mrs Saverney insisted on imposing her sense of fashion on Lottie then it would be a sorry thing indeed. The gown and turban her ladyship were wearing of such luridly clashing colours and of such an ugly style that it pained Amelia to look at them. What high praise! Amelia wondered if Lottie remotely returned the sentiment. After a few more minutes of engagement exclamations Amelia was growing irritable. She knew she was being selfish but this was her second season – she was running out of time to marry. Admittedly her first season had been conducted largely as an observer and her father had made it clear he would not consider offers for her hand in marriage as he considered fifteen years of age too young to marry, but that was beside the point. She had not yet met anyone she felt she could love but felt she was practical enough to be willing to lower her expectations sufficiently to consider any man who was wealthy, of good character and family, attractive, devoted to her and had an important political career so they could regularly spend time in London. Surely that was little to ask? She had been hoping to be rescued from the dull conversations with elderly ladies and fate answered her in cruel fashion with the arrival of the Duke of Elborough. He approached her with a predatory smile and bowed. She responded with a polite curtsy, thinking hastily for a way to escape. They took their places, she in the line of female dancers, he with the men. Lottie moved to her side, Saverney opposite, then the musicians began to play. Mr Harrington was, in fact, a perfectly adequate dancer; he simply disliked the pastime. Amelia found this difficult to understand as she could think of few more fun ways to spend an evening. When the music finished she accepted invitations from a couple of young gentlemen for later dances then caught Elborough looking in her direction again and moved to join the discussion her father was having with several men. It was a necessary retreat. The Duke of Elborough whipped his horses to destruction, threatened his friends and had killed any number of men in duels. One shuddered to think how he would treat a wife. He was also, unfortunately, the only gentleman who currently seemed likely to ask for Amelia’s hand and while it was pleasant to have caught the attention of a member of the peerage, she wished he would pay her less interest. Even her father had asked her into his study to warn her off the Duke the previous year, letting her know about his bad character. She had responded with a few stories she had heard from Lottie’s brother and they had both shaken their heads and agreed that it would be best if no sane woman agreed to marry the Duke. And speaking of men no sane women should marry. 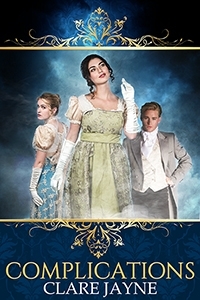 Mr Brightford and his two companions bowed to her and she curtsied prettily, thinking that there had never been a man less aptly named than Mr Brightford. She gathered it was fashionable for men to behave in a sardonic manner but he took the behaviour to extremes, permanently looking either bored or critical. Worse still, many of the younger men, for some inexplicable reason, admired him and copied this behaviour. “Have they been to London?” Amelia asked eagerly, this information casting the visit in an entirely new and far more favourable light. Unpleasant man. She had met him the previous season and it was the only time society had disappointed her. His expression looked always to find fault and he seemed inexplicably immune to her beauty. Still, there was nothing likeable about him so she told herself it was no loss. As soon as Lottie was free from her parents and Mr Saverney, Amelia joined her and they went in search of drinks to refresh themselves. Mr Harrington had the habit of developing romantic crushes on men. The subject was utterly unspeakable, therefore Amelia and Lottie conversed upon it frequently and at length. She ventured to say that she agreed with his public views against slavery and he seemed delighted and spoke to her for some while about his political beliefs and about the war against Napoleon. Lady Treeton then led him away to make further introductions but Amelia could not help but feel flattered at the meeting. She watched that barb sink in then turned and sauntered away. “You have put off a couple of gentlemen who showed an interest in you last year,” her maid reminded her. 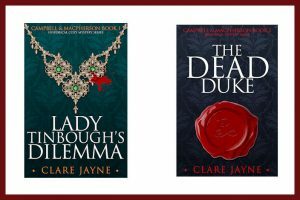 Elborough was coarse, brutish and unpleasing to the eye, but he was at least a Duke… No, even in a daydream he was not someone she could consider but it was just wrong that Charlotte Harrington was engaged. No, that was unfair. Lottie was pretty, demure and kind as well as being the most loyal and constant of friends. She deserved the best of husbands. It was just that Amelia should have been engaged first. With her black hair and blue eyes, Amelia had always caught the attention of men and it should have been easy to make one of them fall in love with her. Amelia had planned her entire future – including how to find and captivate the right gentleman – so how had Lottie, who planned nothing, fallen into such an excellent match? As Amelia settled down in her bed she told herself that no one else in Edinburgh that evening had drawn the interest of a prince. And it was just like Mr Brightford to try to ruin her moment of glory!